Discover how to sell books by the truckload... even if you haven't sold a single copy yet. Discover how to work smarter instead of harder. Italian economist Vilfredo Pareto discovered that 20% of efforts yield 80% of results. This works for book marketing too. Learn about the 4 Ps that every company analyzes before launching a product on the market. Find out why you should do the same. Learn the single most effective strategy that will keep your books afloat the Amazon ocean even with no other marketing. All techniques are strongest when applied together but this one is powerful even on its own. I think the book is brilliant. [...] It is Jam-packed with practical ideas to promote your book and increase your sales. Author is practically giving away book selling secrets for free! Must-read for all authors - new, established, and esp. those going the self-published route. Often when I see this type of title, I am skeptical on whether the information contained inside will actually be beneficial. I have to say this was. Although the book just gave hints of things in the beginning, the author slowly built her case and method for book creation, crafting, promotion, reviews and more. She kept giving and I must give her 5 stars! Thanks for putting this together and making it available! Amazingly astute! Very informative, tells you right where to go and who to see to get your books sold. This book was very informative. Gave terrific ideas on how to market a book - both e-books and paper books. Highly recommended. This book is excellent. Packed with great information which can be put to use immediately. In fact, there's so much useful information, it will take me a while to implement it. 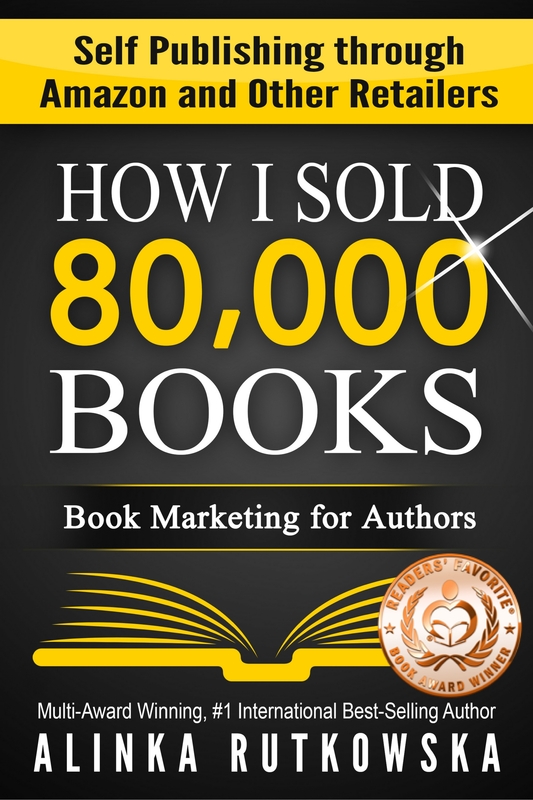 I spent days to try to understand how to market and promote my first book, until i found "HOW I SOLD 80,000 BOOKS". This is a great book. It's full of useful information. I highly recommend it. Very detailed and in-depth as I am walked through the "4p's" of self publishing. Easy to understand and follow and even better, her methods are doable. Great information. Wish I'd had this before my first published novel. The best book for self-published writers I've read.